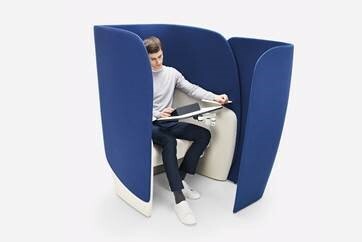 Boss Design has unveiled Mango – a new personal workspace solution that has been created with headspace in mind. 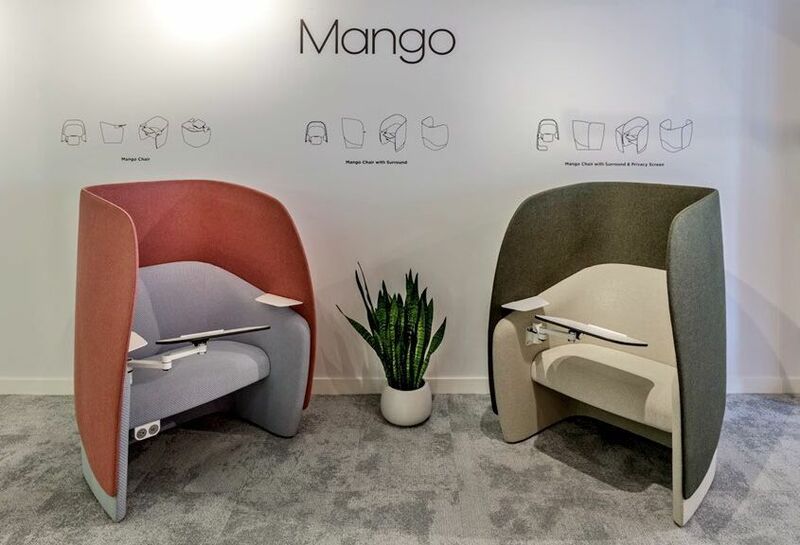 Ideal for use in a variety of environments, including offices and public spaces such as airport lounges, Mango strikes the perfect balance between privacy and ergonomics. 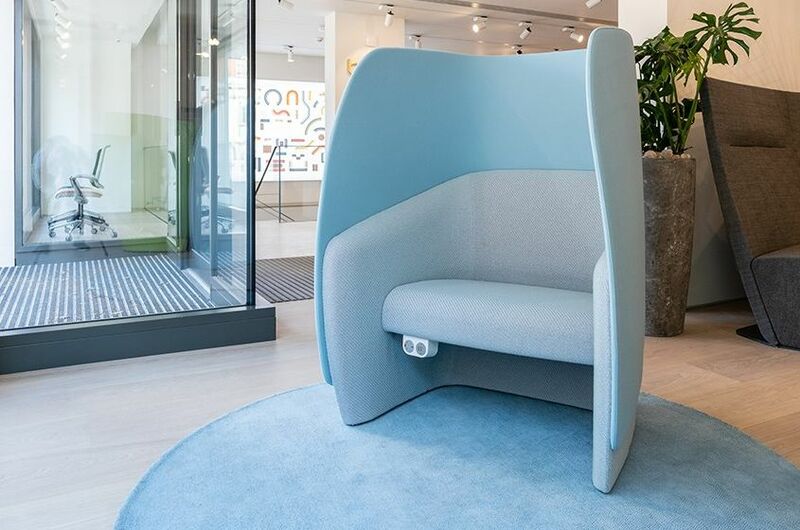 Mango is ideally suited for the workplace where access to quiet, private spaces for individual focused work is essential and is linked to an increase in employee creativity, productivity and wellbeing. 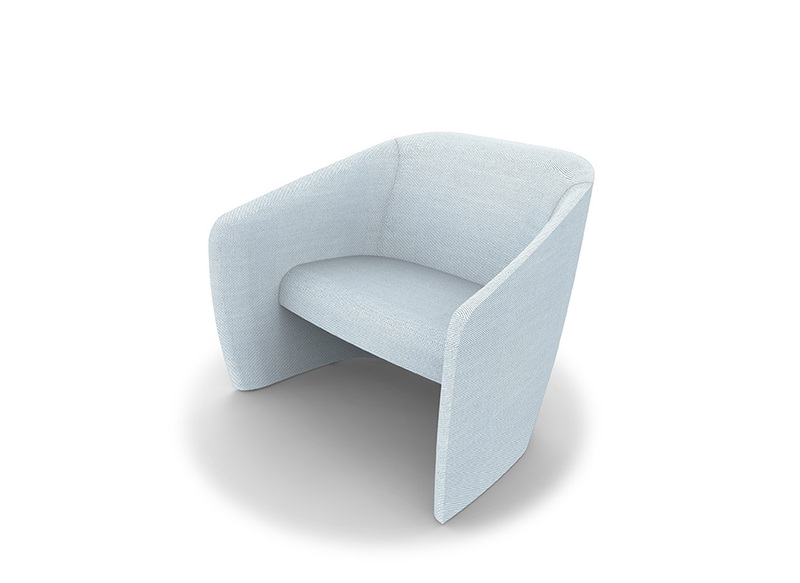 As well as being a magnet for mobile workers, Mango provides sedentary workers with more choice and privacy on demand. 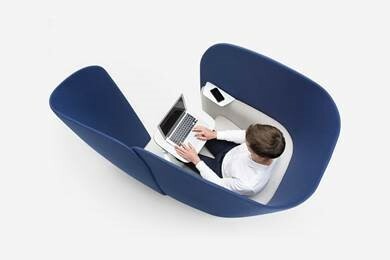 Equally, the personal workspace solution can transform third spaces into practical destinations for focused work. 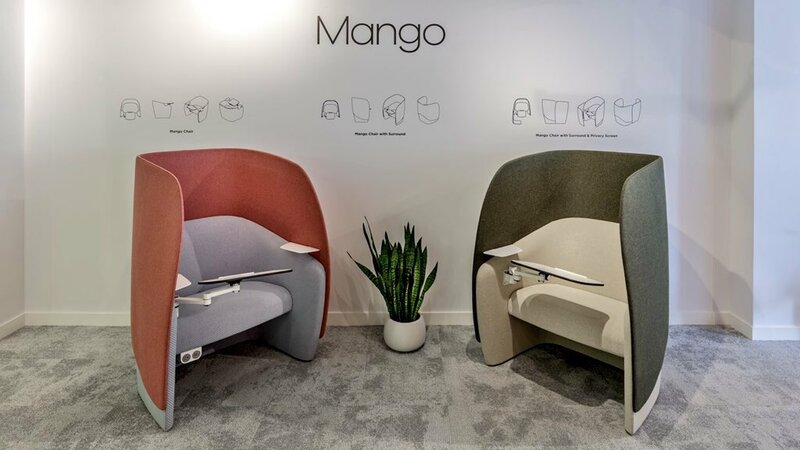 Mango also fits seamlessly into public areas, including waiting areas, and hotel lobbies, offering users a private space to work, touchdown or relax. 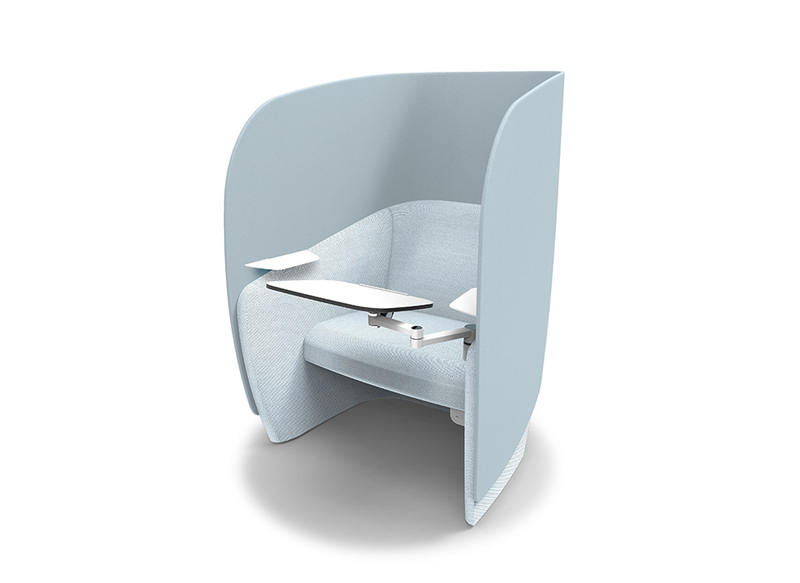 The users’ physical wellbeing has been carefully considered throughout its design. 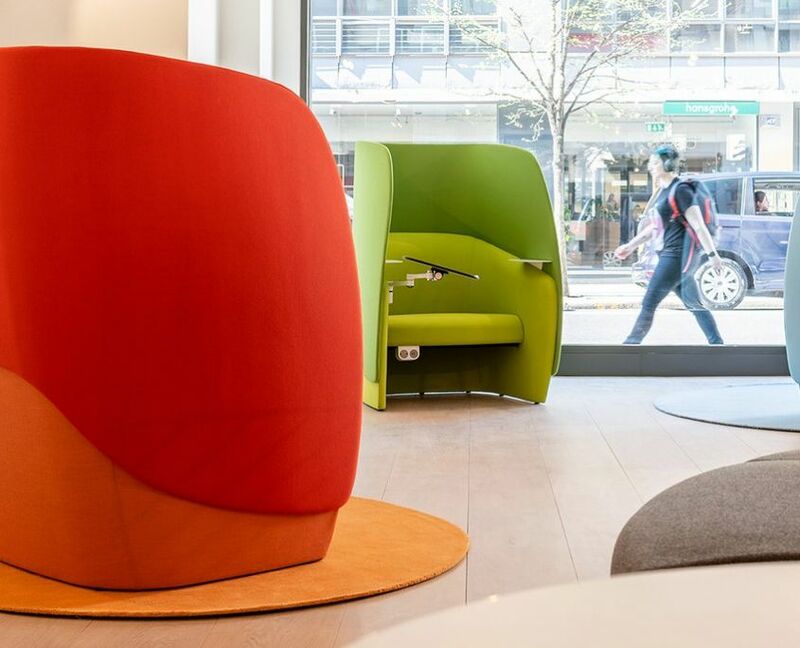 Mango is available with or without a high upholstered screen surround, and with the option of an extended privacy screen for acoustic insulation to minimize surrounding noise levels. A left-hand or right-hand writing tablet on an articulated arm also lets the user position work and devices in the most ergonomic manner. 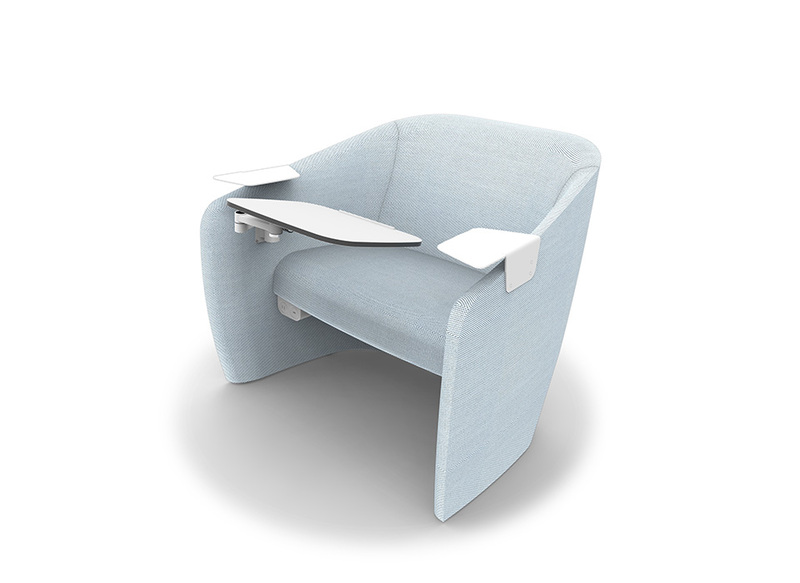 An optional footrest is also available to provide additional support for legs and feet. 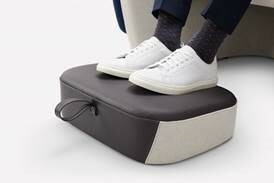 Upholstered in black vinyl, the footrest is designed to help maintain an appropriate ergonomic position and level of comfort when in the lounge position. 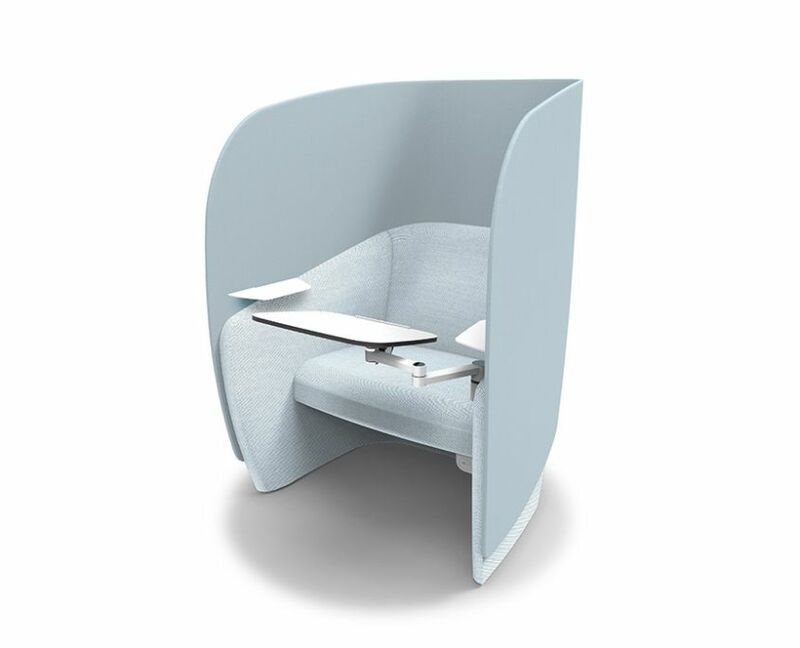 When not in use, it sits underneath the seat. 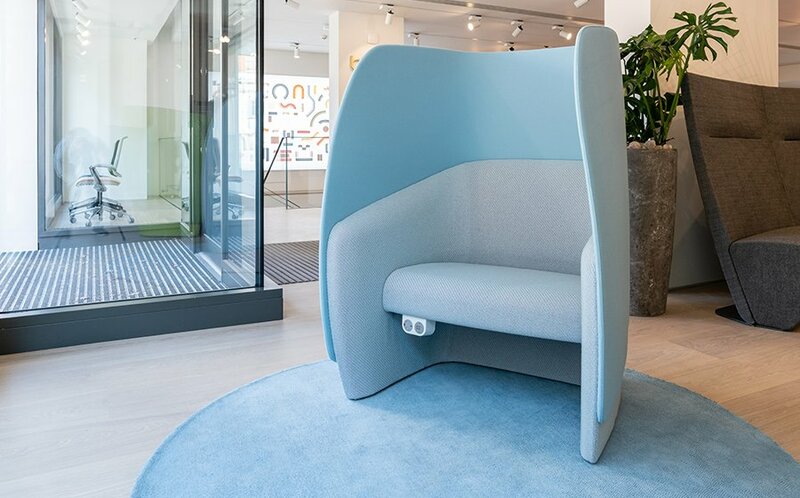 Integrated power and data options also provide connectivity, essential for modern-day work and life, whilst dual density foams support the user, and storage space can be found underneath the seat. 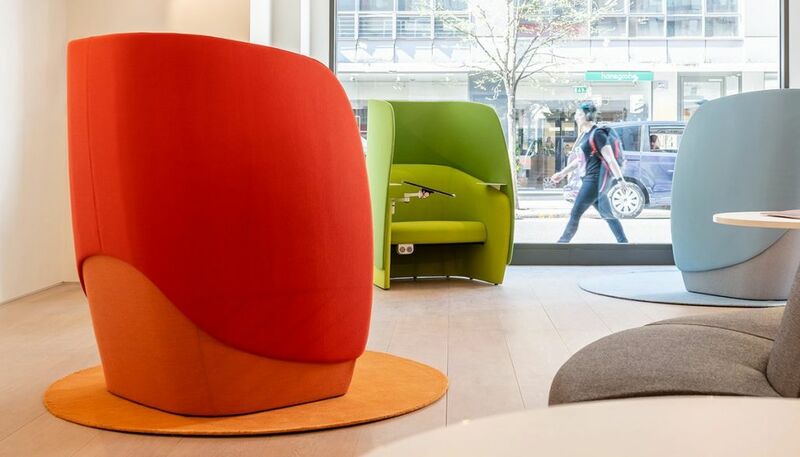 Mango is available with or without a high upholstered screen surround, with the option of an extended privacy screen for acoustic insulation to minimise surrounding noise levels. A left-hand or right-hand writing tablet on an articulated arm lets the user position work and devices ergonomically, ensuring the user’s physical wellbeing. Integrated power and data options provide connectivity, essential for modern-day work and life.